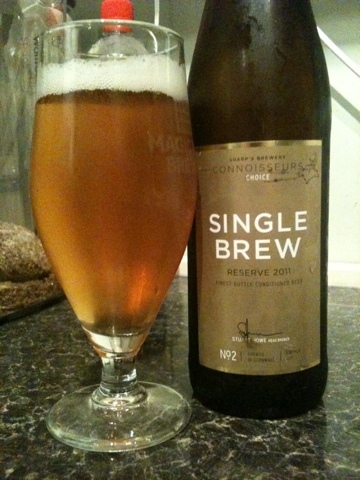 Another tasty one from the Sharp's Connoiseurs Choice range. 10% ABV, and like the Honey Spice Tripel it doesn't taste it. A pale golden colour with mandarin/citrus on the nose. Very dry and fruity with astringent hops, bitterness following through towards the end.